A SpaceX-owned supply ship arrived at the International Space Station on Sunday with 2.4 tons of cargo, including space debris and solar energy monitors mounted in the Dragon spacecraft’s external payload bay and more than 3,400 pounds of gear inside its reused pressurized module. Guided by laser rangefinders and automated rendezvous algorithms, the capsule flew in range of the space station’s robotic arm, and astronaut Mark Vande Hei unlimbered the Canadian-built robot to capture the Dragon cargo craft at 5:57 a.m. EST (1057 GMT) as the research outpost soared 252 miles above Earth between Papua New Guinea and Australia. A few hours later, ground controllers maneuvered the robot arm to place the Dragon capsule on the Earth-facing port of the station’s Harmony module for a planned month-long stay. Astronauts opened the hatches leading to Dragon’s pressurized cargo module later Sunday to begin unpacking experiments, spare parts, food and a spacesuit stowed inside. 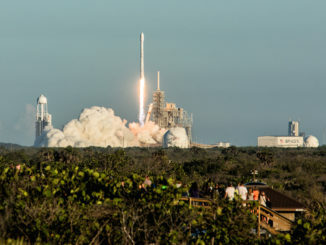 The unpiloted cargo carrier arrived at the station two days after its blastoff from Cape Canaveral aboard a SpaceX Falcon 9 rocket. The successful supply delivery marked the second time a refurbished Dragon capsule made the trip to the space station. The same capsule first flew to the station and back in April and May of 2015 on SpaceX’s sixth cargo mission to the complex. The launch Friday from Florida’s Space Coast was also the first commercial flight with a previously-flown first stage booster to loft NASA cargo, using the same vehicle that sent a previous Dragon supply ship to the station in June. SpaceX flew three reused first stages earlier this year with commercial communications satellites. Sunday’s arrival was the 12th time SpaceX has delivered supplies to the space station in 13 tries under the auspices of a multibillion-dollar contract with NASA. Payloads packed inside Dragon’s internal cabin included 1,080 pounds (490 kilograms) of crew supplies such as food, clothing and care packages, 1,568 pounds (711 kilograms) of experiments and research equipment, 417 pounds (189 kilograms) of space parts and vehicle hardware, 364 pounds (165 kilograms) of spacewalking gear, including a spacesuit and a spacewalking jetpack, and 11 pounds of computer resources. One experiment will investigate how plants grow in partial gravity for the first time. The results could help scientists predict how plants could develop in habitats on the moon or Mars. Another payload delivered to the station Sunday will test out a bio-culture system that could grow cells and small tissues for research in orbit. Other experiments will look at examining the performance of a blood glucose meter and a bone adhesive in microgravity. The commercial company Made in Space also sent up a privately-funded technological experiment to study how optical fiber could be produced in orbit — perhaps with better quality than the silica-based fiber optic cables manufactured on Earth. Also on-board: A habitat containing 40 mice to be used as research subjects for scientists investigating the efficacy of a drug delivery system for patients on Earth with muscle atrophy, and two commercial investigations from Budweiser that will study how the microgravity environment on the space station affects barley. 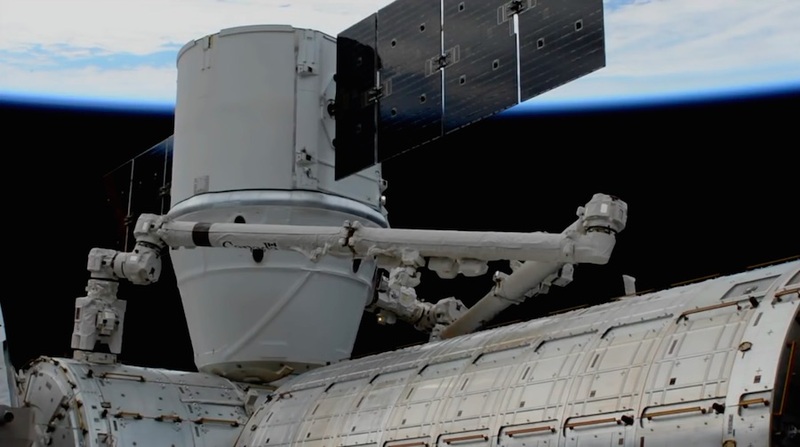 Later this month, engineers at the station’s mission control center in Houston will send commands for the robotic arm to pull two experiment packages from Dragon’s aft cargo bay for placement outside the research complex. The NASA-funded Total and Spectral Solar Irradiance Sensor, or TSIS-1, hosts two instruments to monitor the sun’s energy output, a key driver of Earth’s climate. Developed by the Laboratory for Atmospheric Physics at the University of Colorado – Boulder, the TSIS-1 instrument will be pulled from the Dragon spacecraft’s trunk Dec. 28 and installed two days later on Express Logistics Carrier 3, a mounting platform on the station’s port-side truss. TSIS-1 was originally built for NOAA’s next generation of polar-orbiting weather satellites, which was canceled in 2010 and replaced by a scaled-down program called the Joint Polar Satellite System. The solar energy monitor was then assigned to a launch on a standalone “free flyer” before it was also canceled, leaving the nearly-completed instrument without a ride. NASA managers decided in 2014 to launch TSIS-1 to the space station, requiring the design of a previously-unplanned pointing system to keep the instrument tracking the sun as the research complex orbits the Earth roughly every 90 minutes. The TSIS-1 instrument will measure total solar irradiance, the sum of the sun’s energy output that reaches the Earth. The measurement is crucial to help scientists sort out the natural and human-caused drivers of climate change, and TSIS-1 will extend a data record collected by nine satellites dating back to 1978. TSIS-1 will collect data in two ways. 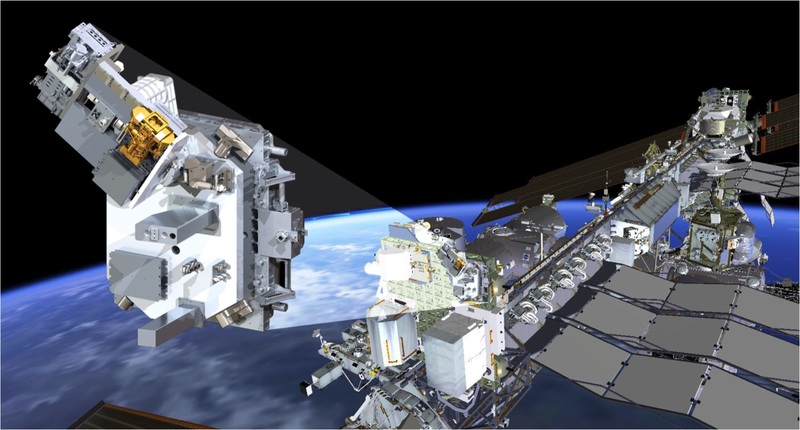 One part of the experiment will monitor the total solar energy that reaches Earth, and another will break it down into its spectral components — infrared, visible and ultraviolet light — to track the atmosphere’s response to each. Different kinds of solar radiation have varying impacts on Earth’s climate, Pilewskie said. For example, ultraviolet radiation from the sun is absorbed by the ozone layer. “Trying to understand climate without understanding the sun is like trying to balance your checkbook without knowing your income,” Pilewskie said. TSIS-1 is a follow-on to total solar irradiance measurements collected by NASA’s aging SORCE satellite, which launched in 2003 and is operating well beyond its design lifetime. A similar solar energy sensor was lost on NASA’s Glory satellite on a rocket failure in 2011, prompting the launch of a spare sensor originally developed for the SORCE mission on a U.S. Air Force satellite in 2013, which has served as a stopgap until TSIS-1 could be sent to the space station for a planned five-year mission. Scientists expect TSIS-1 will begin collecting solar data by April after a three-month calibration period. NASA’s Space Debris Sensor will also be removed from the Dragon capsule’s trunk and attached to the European Space Agency’s Columbus laboratory module Jan. 1. The Space Debris Sensor will register impacts with tiny pieces of space junk for at least two years, helping engineers and scientists better understand the population of untracked objects orbiting at the same altitude as the space station. Composed of two thin resistive grid layers and a backstop covering 10 square feet (1 square meter), the Space Debris Sensor will detect microscopic objects as small as a grain of sand as they strike at velocities higher than 20,000 mph (32,000 kilometers per hour). The impacts will trip acoustic sensors and break resistive grid lines inside the instrument, telling scientists about the speed, direction and density of the object. A high-speed collision between a satellite and a small chunk of space junk can wreak havoc and end a mission. 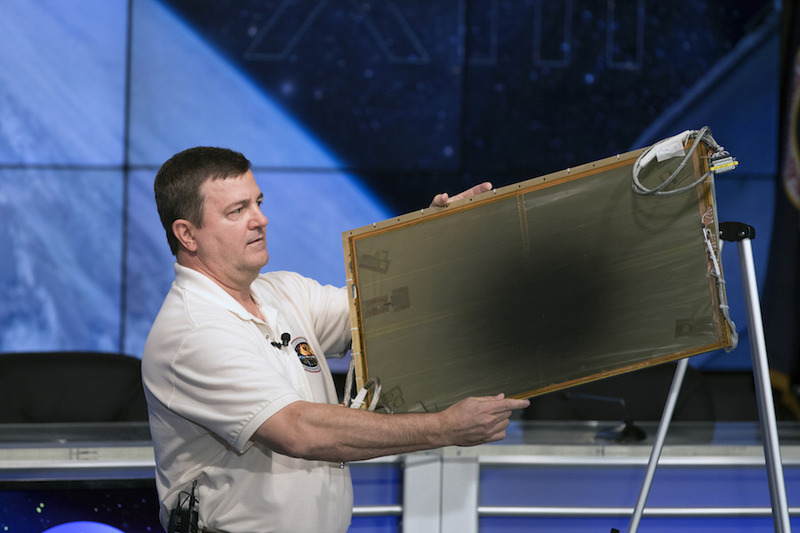 While robotic satellites are often more prone to debris strikes, the space station itself is shielded against impacts with objects smaller than about an inch (2.5 centimeters), according to Kirk Shireman, NASA’s space station program manager. 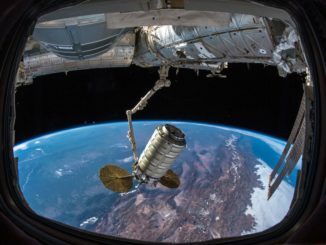 The U.S. military Space Surveillance Network’s optical telescopes and radars can track objects bigger than a softball, or 4 inches (10 centimeters), and the space station can maneuver out of the way of a potential collision with debris of that size. Items in between 1 and 4 inches pose the greatest concern for the space station, Shireman said. 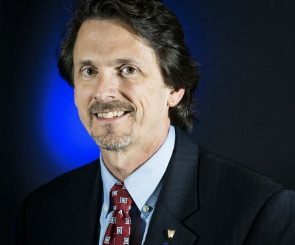 Hamilton said the Space Debris Sensor will gather statistics that scientists will put into computer models that predict the overall size and altitude distribution of objects in low Earth orbit, helping satellite owners and station officials better understand the risk posed by space junk. The Dragon spacecraft will depart the station in mid-January to return to Earth to a parachute-assisted splashdown in the Pacific Ocean with several tons of research specimens and hardware. The ship’s disposable trunk section will burn up in the atmosphere with NASA’s RapidScat instrument, which measured winds over the world’s oceans to aid hurricane and typhoon forecasts until it failed in 2016.